Our selection of designer's handcrafted pieces, from clothing to bags and interiors. Limited Edition Clothing by Aurore Thibout, Color of Time is a collection of unique pieces made with natural dyes and natural fibers. 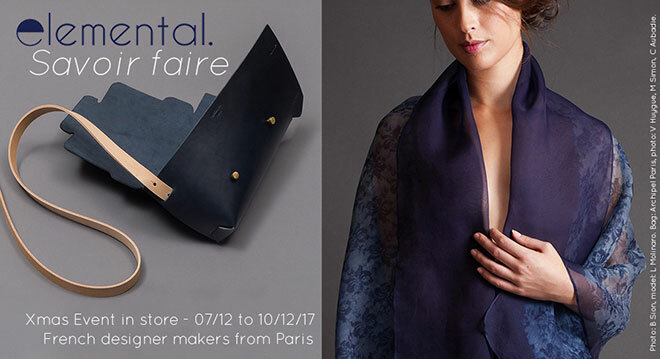 Seamless Bags by Sebastien Cordoleani, Archipel, handmade with vegetable tanned leather in Paris. Preview Thursday 7/12 – 5pm to 8pm. Meet the designers and discover their latest collections sold in exclusivity in London at Elemental. Fine Japanese teas will be served to celebrate this event! Friday 08/12 & Saturday 09/12 – 11am to 6pm. Sunday 10/12 – 11pm to 5pm. 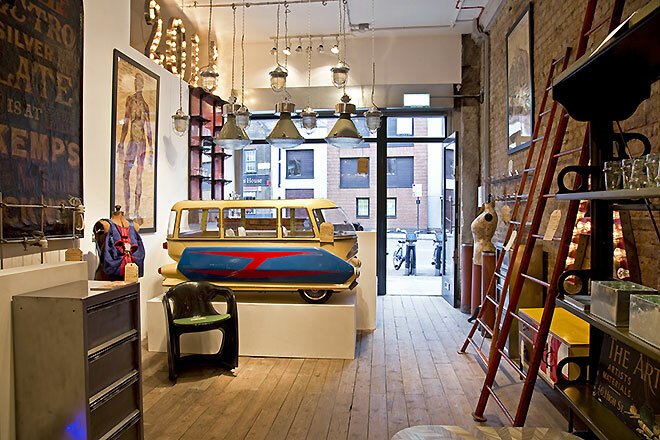 Re-imagined, Up-cycled Furniture and Lighting by selected British designer makers. Xmas Edit in store 14/12 to 17/12/17. Upcycled cupboard by Rupert Blanchard. One off pieces by Rupert Blanchard. 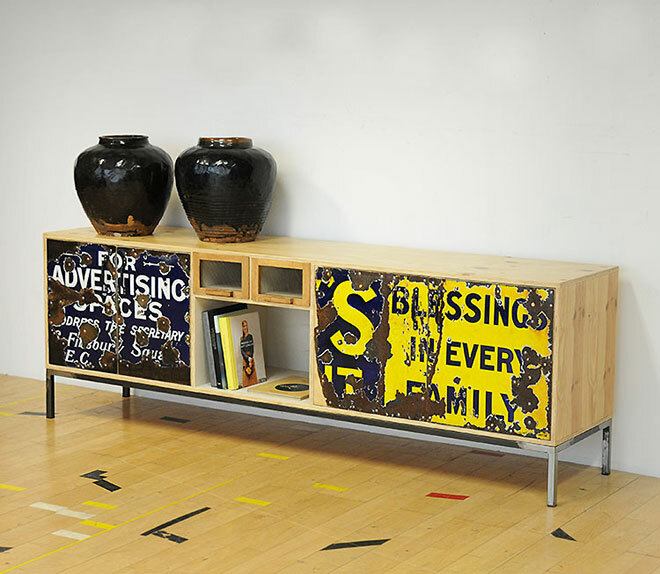 New Furniture, cabinets and tables re-composed with discarded drawers and waste materials. Unique lamps created from lovingly restored vintage and antique curiosities by Tanya Tier. Lighting by Mark Beverton. Selection of restored and reinvented vintage industrial lamps. Thursday 14/12 to Saturday 16/12 – 11am to 6pm. Sunday 17/12 – 11am to 5pm. Set the Table, New collections of handmade glassware and studio ceramics. Fine gifts for Xmas, 20/12 to 23/12/17. Tactile ceramics by Ikuko Iwamoto. Handmade and mouth blown glassware pieces by French designer makersLaurence Brabant and Alain Villechange. 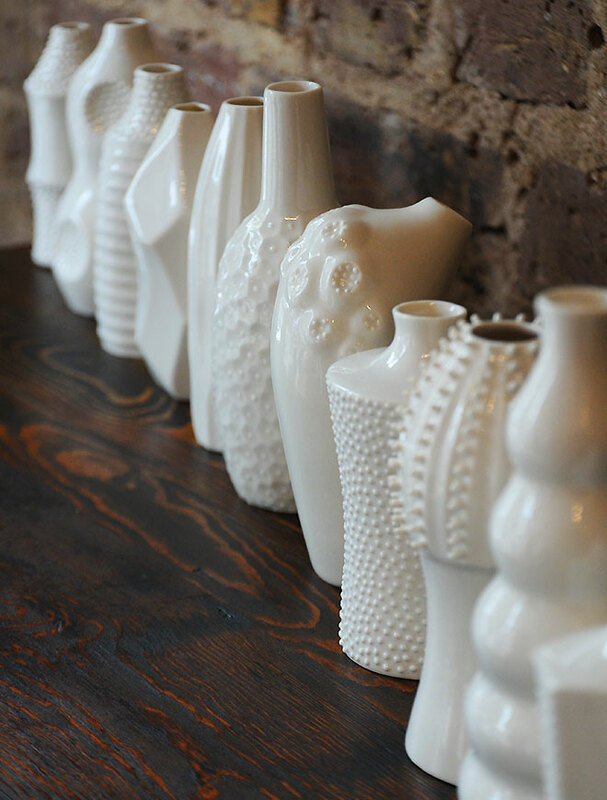 Tactile and sculptural ceramics by Japanese designer maker Ikuko Iwamotomade in her East London studio. Wednesday 20/12 to Saturday 23/12 – 11am to 6pm.